Gouache on paper, delicate yet rough art. 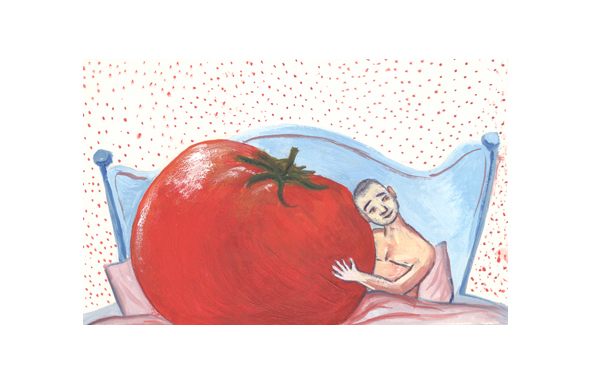 Editorial illustration for an article about Male fertility and nutrition. I like the bright color of the tomato.